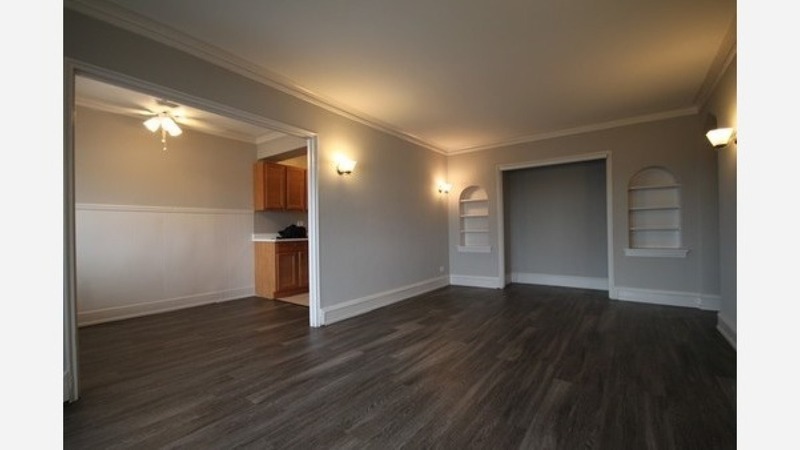 What does $1,400 rent you in Rogers Park, today? Curious just how far your dollar goes in Rogers Park? According to Walk Score, this Chicago neighborhood is quite walkable, is very bikeable and boasts excellent transit options. Data from rental site Zumper shows that the median rent for a one bedroom in Rogers Park is currently hovering around $1,042. Listed at $1,395/month, this one-bedroom, one-bathroom apartment is located at 6710 N. Sheridan Road. In the unit, you can expect hardwood floors, a dishwasher, stainless steel appliances, cherry wood cabinetry, a walk-in closet and a ceiling fan. The building boasts on-site laundry, garage parking, a fitness center, an elevator, secured entry and on-site management. Feline companions are welcome. Next, there's this one-bedroom, one-bathroom apartment located at 1033 W. Loyola Ave., #1305. It's listed for $1,350/month. The building features on-site laundry, an elevator, and on-site management. In the unit, there are hardwood floors, a dishwasher, stainless steel appliances, wooden cabinetry and three walk-in closets. Pet lovers are in luck: cats and dogs are permitted, but breed restrictions and additional fees apply. Here's a one-bedroom, one-bathroom apartment at 7935 N. Ashland Ave., #3, that's also going for $1,350/month. In the unit, you'll get hardwood floors, cherry wood cabinetry, granite countertops, a dishwasher, stainless steel appliances, in-unit laundry, air conditioning and a back porch with a deck. If you've got a pet, you'll be happy to learn that cats and dogs are permitted. Finally, check out this 600-square-foot one-bedroom, one-bathroom that's located at 7722 N. Ashland Ave. It's listed for $1,350/month. In the unit, you'll get a in-unit laundry, air conditioning, central heating, hardwood flooring, a dishwasher, a balcony, a walk-in closet, wooden cabinetry and granite countertops. When it comes to building amenities, expect secured entry. If you've got a pet, you'll be happy to learn that cats and dogs are welcome.